Welcome to Saint Michael Orthodox Church! We welcome you to our new St. Michael’s Website. 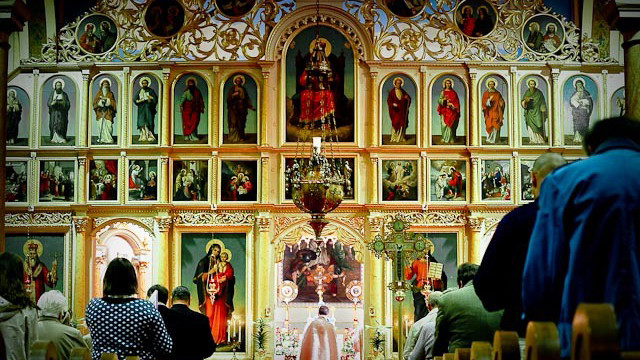 Even more, we warmly invite you to visit our holy church. 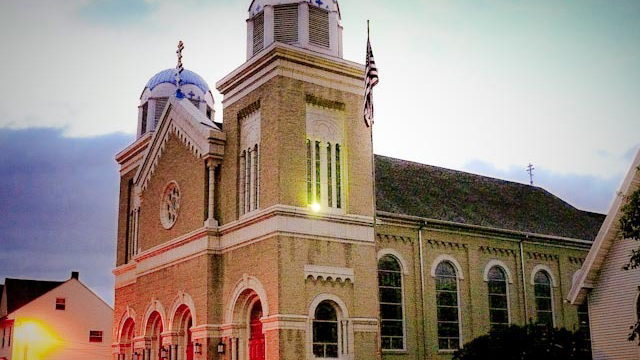 Located in the anthracite coalmining region of south eastern Pennsylvania, St. Michael Orthodox Church, a parish of the American Carpatho-Russian Orthodox Diocese of the USA, under the Omophorion of the Patriarchate of Constantinople, stands tall and majestic—with a cathedral-like appearance—on North Nichols Street in St. Clair, a borough in Schuylkill County with a population of around three thousand. His Grace, the Right Reverend Bishop Gregory of Nyssa is the reigning hierarch of the Diocese, and the Rev. Fr. Jeff L. Zias is the presbyter of this beautiful and growing church. Vespers is celebrated every Saturday evening at 6:00 p.m. and the Holy Divine Liturgy of St. John Chrysostom is celebrated on Sunday mornings at 10:00 a.m. Come and experience the living, healing life of Christ’s own Church, Holy Orthodoxy—Christianity’s first and oldest. Visit us soon!